Current research focuses on determining the location of dark matter in the Milky Way. We perform n-body simulations of the tidal disruption of dwarf galaxies in the Milky Way halo, using MilkyWay@home, a 0.5 PetaFLOPS volunteer computing platform built in-house. We compare the simulations to actual Milky Way data to determine the best parameters for the simulations, thus constraining the amount and distribution of dark matter in the halo. We are testing predictions of dark matter distribution for particular dark matter particles against the measured positions and motions of stars in the Milky Way. Theoretical and computational studies performed include the electronic structure of nanostructured material, models for the structure and electronic properties of surfaces and interfaces and the binding and mobility of adsorbed atoms on metal surfaces, molecular electronics and spintronics, as well as developing understanding of far-from-equilibrium physics. Active research activities also include a number of other aspects of condensed matter physics research such as studies devoted to light-material interactions for solar-energy harvesting, photo catalysis, energy conversion, sensing, and structural transformation in inorganic and organic semiconductors and in bio materials. Many-body interactions encountered in electron-phonon coupling for excited-state energy relaxation, superconductivity, heat management, and thermoelectricity are also parts of the research portfolio. 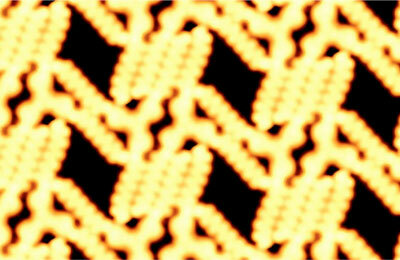 The researchers pay particular attention to emerging materials such as low-cost solar cell materials, topological insulators, porous nanostructures, two-dimensional layered structures, and van der Waals solids with exotic electronic structures and defect properties for applications in electronics, optoelectronics, spintronics, and beyond. Finally, significant activities are realized on the physics of surfaces and the physics, chemistry, and dynamics of interfaces between solids and between solid and liquid. 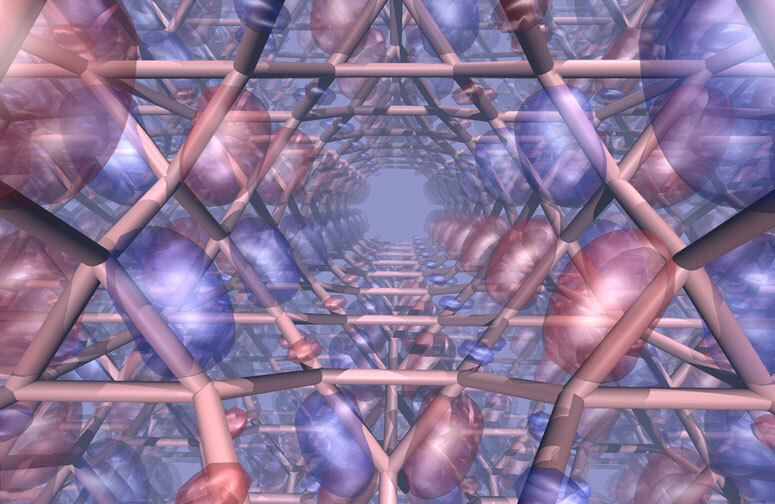 The various condensed matter theory efforts rely significantly on large-scale supercomputing approaches, using resources from Rensselaer’s Center for Computational Innovations. Research in optical physics covers a wide range of activities related to photons and their interaction with various materials. Experimental and theoretical research is ongoing to provide innovative solutions to today’s problems in both fundamental and application. The goals are the development of novel nanoelectronic and nanophotonic devices, creative solutions for homeland security, renewable energies, biological and biomedical investigations, solar harvesting, and smart lighting. Research includes photonic crystals, plasmonics, photonic nanostructures, light emitting diodes, terahertz photonics, spectroscopy, imaging, chemical and biological sensing and identification, ultrafast and nonlinear phenomena, the development of novel ultrafast spectroscopic techniques, development of novel optical materials including wideband gap and narrow band gap semiconductors, nanowires and their arrays, semiconducting quantum dots and quantum wells. 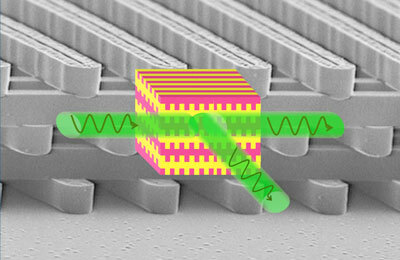 One such research effort aims to understand the fundamental interactions between single quantum emitters and plasmonic nano-antennas. By studying the changes in the single molecule emission properties through super-resolution imaging, we can learn about the interactions of the fluorophore with its environment at the nanometer scale. Major facilities include ultrafast lasers and ultrafast and terahertz spectroscopy systems, a micro and nanofabrication clean room for semiconductor processing, linear and nonlinear optical absorption, luminescence, and super-resolution microscopy. Activities in this area primarily focus on investigations on beyond the standard model applications of lattice field theory. This includes strongly coupled supersymmetric systems such as arise in hidden sector models of spontaneous supersymmetry breaking. We have also studied models of compositeness in the Higgs sector of the Standard Model, with electroweak symmetry broken by strong dynamics of a new gauge force. This has led us into developing software for the study of resonance properties from first principles, which is also useful for lattice quantum chromodynamics. 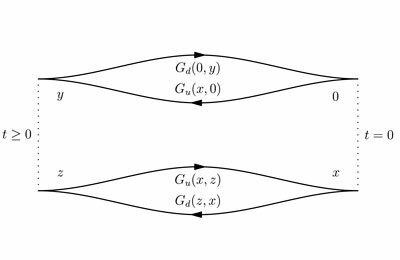 A key focus of ongoing research is dualities in gauge theories, such as S-duality (electric/magnetic) in N=4 super-Yang-Mills, and gauge/gravity dualities (AdS/CFT). This allows us to study quantum gravity in numerical simulations. Much of our work has an eye toward string-inspired particle phenomenology, which we have worked on in the past. One of the major developments of the last two decades has been the ever-increasing interconnectivity of a broad class of information networks, including physical and data network types arising in telecommunication, social networks, and transportation and energy infrastructures. This interconnectivity has led to immense temporal and spatial complexity in modern networks and a critical need for basic mathematical theory and statistical modeling of complex interacting networks. Our current research in this direction includes structure and dynamics of social, information, and biological networks and applications to social dynamics, network vulnerability, epidemic models, and synchronization problems. 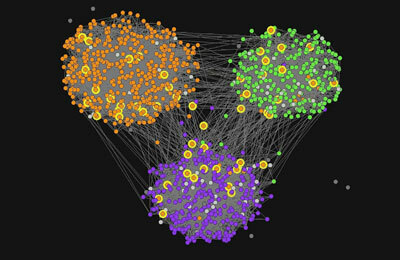 On-campus collaborations and facilities are at the Social Cognitive Network Academic Research Center (SCNARC) and at the Network Science and Technology Center (NeST). The experimental condensed matter research distinguishes between the bulk of matter, its surface and interface, and proceeds in close partnership with theory and computational studies. Of interest are new concepts, materials, and techniques for nanotechnology and green technology such as renewable energy, energy conservation and conversion, storage, and delivery. Some projects are interdisciplinary and take part in dedicated Centers across the Institute. One, fundamental research is molecular electronics, which studies the quantum transport of molecules that exhibit conductance switching and rectification behavior. These measurements use scanning probe microscopy and nano junctions measured at liquid He temperature. Another project aims at improving our understanding of materials, their structure, and devices. The metals, semiconductors, and insulators are prepared in thin film deposition (including oblique angle deposition) and epitaxial growth. Their structural, electronic transport, spin, and optical properties are characterized and compared to theoretical and numerical investigations. Other studies include wide band gap semiconductors, photonic crystals, polymers, semiconductor nanoparticle composites, dielectrics, magnetic, metallic thin films, two-dimensional layered materials, plasmonics and nanostructures. 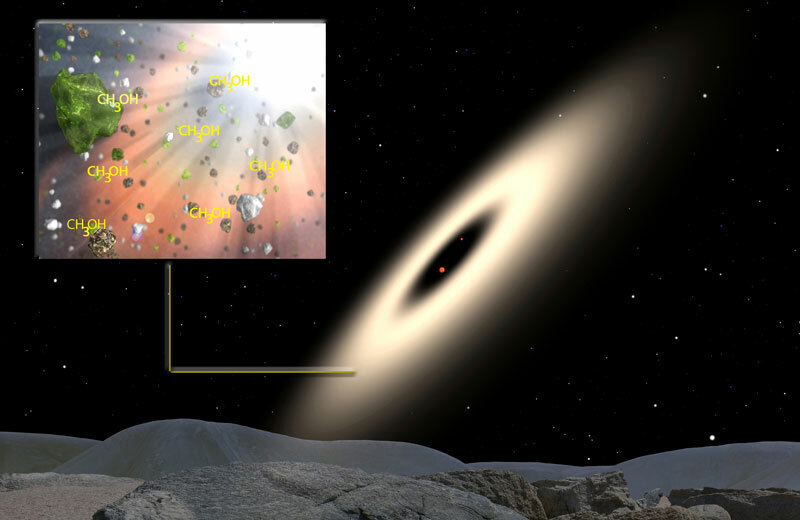 The department makes use of state-of-the-art characterization techniques such as electron, x-ray, ultraviolet, visible, infrared, Raman, terahertz, and scanning probe spectroscopies and microscopies. Local facilities include Clean Room and the Electron Microscope Laboratory. Experimental research in the astrophysics group focuses on near-field cosmology, in which local galaxies are studied as examples to understand the properties of the Universe, including dark matter and dark energy. 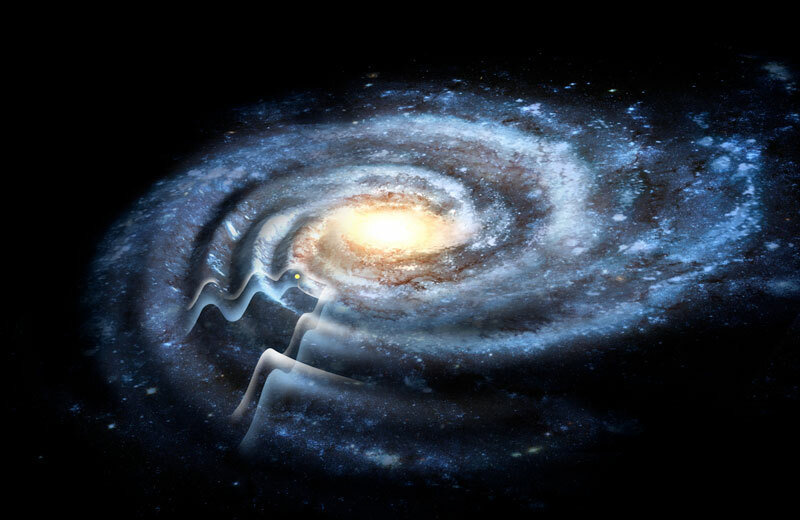 We particularly focus on the dynamics and structure of the Milky Way as revealed by large, international photometric and spectroscopic surveys such as the Sloan Digital Sky Survey (SDSS) and the Large Area Multi-Object Spectroscopic Telescope (LAMOST), and by astrometric surveys such as Gaia. Dwarf galaxies are ripped apart by tidal forces in the Milky Way into tidal streams. These streams are used to constrain the processes by which the Milky Way galaxy formed, and the distribution of the dark matter within it. The dwarf galaxies also excite wavelike structures in the Milky Way disk that could explain how spiral galaxy structure is formed and sustained. The nature and structure of matter and energy remains one of mankind’s leading research frontiers. The faculty members involved in this area are engaged in experimental and theoretical studies of the fundamental interactions of matter at sub-femtometer distances. 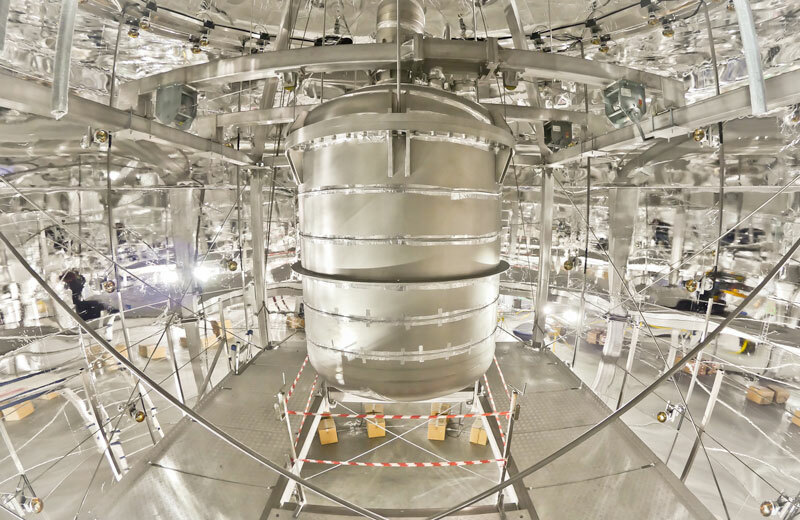 Another research focus is on the direct detection of dark matter with the XENON100 and XENON1T experiments operated in the LNGS laboratory in Italy. Research & development efforts for these and future dark matter experiments addresses xenon purification techniques to operate the most radiopure detectors in the world.